My own ABCs consist of places I have loved (Iceland), things I feared (Earthquakes), writers I have admired (Chesterton, Balzac, and Borges); things associated with my past life (Cleveland and Dartmouth College), people who have influenced me (John F. Kennedy), and things I love to do (Automobiles and Books). This blog entry is my own humble attempt to imitate a writer whom I have read on and off for thirty years without having sated my curiosity. Consequently, over the months to come, you will see a number of postings under the heading “Tarnmoor’s ABCs” that will attempt to do for my life what Milosz accomplished for his. To see my other entries under this category, hit the tag below marked “ABCs”. I don’t guarantee that I will use up all 26 letters of the alphabet, but I’ll do my best. Today, we’re at the letter “M,” for Marcel Proust, whose In Search of Lost Time I am now reading for the third time. 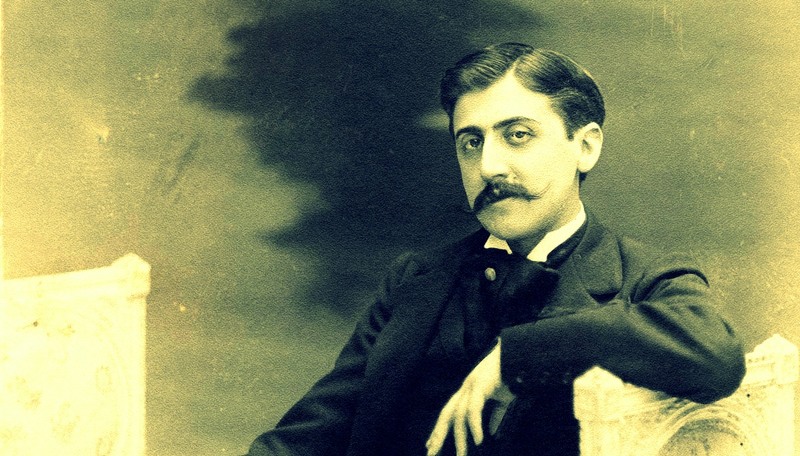 The first four volumes were completely edited by Proust during his lifetime. The last three received their final proofing from others (but are still great). Quite frankly, it is not easy to read Proust. Some sentences seem to go on for pages. It requires intense concentration not to go astray, even within an individual paragraph. One old friend, who is a high school English teacher, abandoned Swann’s Way in the first section. Why do I so highly regard a not-particularly-successful gay social climber whose world has so little in common with mine? For one thing, Proust writes about not so much memory as of the shimmering obsessions that monopolize so much of our attention yet, in the long run (the series spans decades), fall by the wayside as life goes on. I have already had my fourth reading of Swann’s Way. When I return from Peru, I plan to re-read In the Shadow of Young Girls in Flower for the third time. If God is good to me, there will be a fourth and—who knows—maybe even a fifth reading of the series in the time that remains to me.